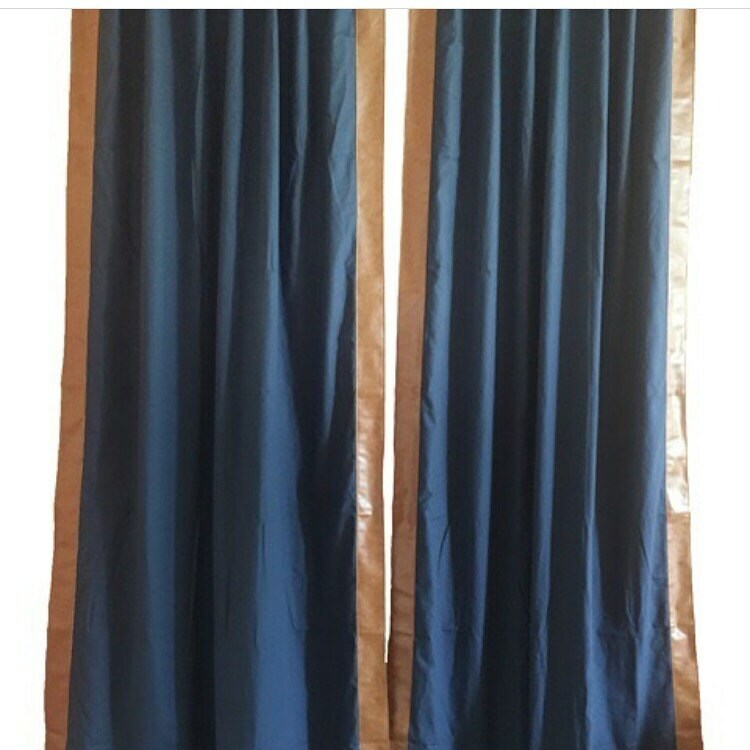 Listing is for a pair of Bentley Club Drapes in navy with brown leather trim and thermal lining. These are display drapes used to just take pictures and are now offered at half off. These drapes are perfect for a movie room, office, teen room, and master bedroom! These drapes are on sale 50% off for $136/pair. Regular price is $272/pair. If you don't see the size needed please message us for a custom order.